The death of Terri Schindler Schiavo in 2005 is a distant memory for most Americans. But for the family that spent seven years fighting Terri’s estranged husband and the court system to stop the starvation of their daughter and sister, recollections of the 13 days Terri lingered without food or water before finally succumbing to death remain vivid and painful. And the knowledge that other brain-damaged patients could suffer a similar fate has propelled this once-ordinary family into around-the-clock activism. “It was almost like there really wasn’t an option,” said Terri’s sister, Suzanne Schindler-Vitadamo, when I interviewed her last weekend in Kansas City, Kan., at an end-of-life ethics conference sponsored by the St. Gianna Physician’s Guild. Along with her mother, Mary Schindler, and brother, Bobby Schindler Jr., Schindler-Vitadamo now works full time for the Terri Schiavo Life & Hope Network, a non-profit group that advocates for disabled patients threatened by health-care rationing and euthanasia. Before his death in 2009, Terri’s father, Robert Schindler, also dedicated himself to raising awareness about the dangers posed by a culture that increasingly judges the right to life on a sliding scale, a scale on which lives like Terri’s count for little. A main focus of the Life & Hope Network is the defense of food and water as an essential human right owed to all patients who are not imminently dying even if, like Terri, they need a feeding tube to receive it. As the Schindlers often note and many media reports failed to mention, Terri suffered from a severe brain injury but did not depend on a ventilator or other machines for survival. Doctors diagnosed her condition as a persistent vegetative state, a condition in which a patient is awake but unaware and can live for decades as long as she has food, water and basic care. Terri’s family disputed the persistent vegetative state label, and the diagnosis itself has come under heightened scrutiny in recent years. In 2005, Columbia University Medical Center researchers released a brain-imaging study that showed that some seemingly unconscious patients with severe brain damage are capable of responding to speech and, therefore, may have hope of rehabilitation. Regardless of her chances for recovery, Terri’s basic right to food and water remained. That right was blatantly violated by judges who allowed her husband to starve her despite her family’s objections and without verifiable proof of her wishes. Terri’s family now hopes to spare others the agony they endured. Their network serves as a 24-hour resource center to connect families facing similarly life-threatening situations with physicians and attorneys willing to help them defend incapacitated loved ones. 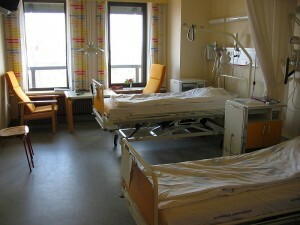 Already, executive director Bobby Schindler said, the network has supported some 1,000 families and participated in hundreds of cases, including some involving authoritarian ethics committees that serve as de facto “death panels” for patients deemed too burdensome and hopeless to merit continued care or even food and water. Schindler believes the recent health care reform legislation signed by President Barack Obama will exacerbate such abuses because of its focus on cost controls. Yet, judging from the many calls he receives — including calls from families at Catholic hospitals who complain that the church’s definition of food and water as basic care is frequently ignored — he considers health care rationing a present reality, not a hypothetical threat. The perennial challenge of health care and end-of-life ethics is to navigate between two extremes: the vitalism that would preserve life by any means necessary without regard for burdens on the patient and the fatalism that would give up on gravely ill patients before their time. While vitalism posed the greater threat in decades past, fatalism more often dominates today. And, as the Schindler family knows from painful personal experience, the combination of a cost-cutting medical establishment and a culture unable to recognize the innate human dignity of the cognitively disabled can be volatile mix — one with heartbreaking and lethal consequences. I remember this heart wrenching issue well. I remember that at the time as I read about it I got the impression that Terri’s husband wanted her to die so he could get on with his life. If it had not been for Catholic News media I would have never known that Terri was not on any breathing support. She needed just what we all need to survive, food and water. It is good that we get a reminder about Terri and her struggles and her family struggles. This was a hard issue for anyone to deal with. Thank you for refreshing our memories.